The official posters for the upcoming romantic fantasy drama The Idle Mermaid were released on July 9 by Asia's No.1 Contents Company CJ E&M [http://en.cjenm.com]. The show will air on total entertainment channel tvN starting August 7 at 11:00PM (KST). The Idle Mermaid is a new fairy tale inspired drama about a mermaid (Jo Bo-ah) who is experiencing living for the first time in Seoul. Moving into a house with young job seekers, she struggles to find true love in order to become a real human within 100 days. 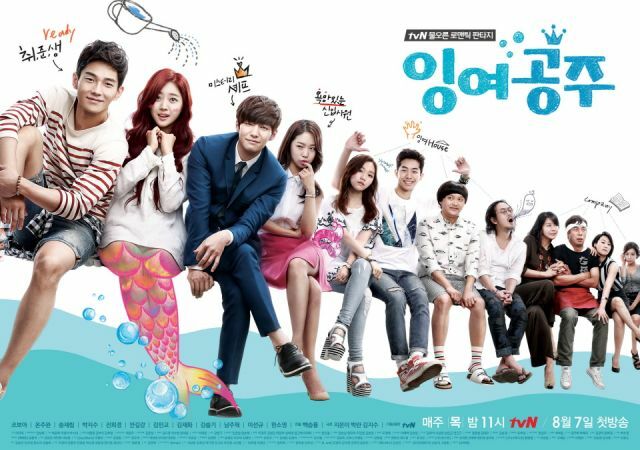 Starring rising stars Jo Bo-ah and On Joo-wan, The Idle Mermaid will feature a unique plot and creative satire transcending genres.